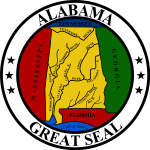 The 1984 United States presidential election in Alabama took place on November 6, 1984. All 50 states and the District of Columbia, were part of the 1984 United States presidential election. Alabama voters chose 9 electors to the Electoral College, which selected the president and vice president of the United States. Alabama was won by incumbent United States President Ronald Reagan of California, who was running against former Vice President Walter Mondale of Minnesota. Reagan ran for a second time with former C.I.A. Director George H. W. Bush of Texas, and Mondale ran with Representative Geraldine Ferraro of New York, the first major female candidate for the vice presidency. The presidential election of 1984 was a very partisan election for Alabama, with just under 99% of the electorate voting only either Democratic or Republican. The majority of counties in Alabama voted for Reagan, in a particularly strong turn out in this typically conservative leaning state. Typical for the time, the almost entirely African-American counties of the Black Belt turned out overwhelmingly for Mondale: in Macon County Mondale received 82.71 percent of the vote, which was the highest percentage he received in any county nationwide outside the District of Columbia. Several counties nearby, but not inclusive of, the major population centers of Montgomery and Birmingham, also voted Democratic, illustrating an urban spill-over effect. Reagan won the election in Alabama with a resounding 24 point sweep-out landslide. While Alabama typically voted conservative at the time, the election results in Alabama are also reflective of a nationwide reconsolidation of base for the Republican Party which took place through the 1980s; called by Reagan the "second American Revolution." This was most evident during the 1984 presidential election. Also, Alabama continued its trend of voting for the same presidential candidate as its sister Dixie State Mississippi this election cycle - a trend which has remained unbroken since 1872. 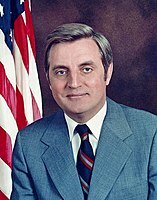 Mondale carried the reliably Democratic Black Belt plus Colbert, Lawrence and Jackson counties in northern Alabama, which has continued to be more receptive to Democrats, even as the rest of the state, especially the Gulf Coast and the suburbs around Birmingham have trended strongly Republican. It is speculated that Mondale lost support with voters nearly immediately during the campaign, namely during his acceptance speech at the 1984 Democratic National Convention. There he stated that he intended to increase taxes. To quote Mondale, "By the end of my first term, I will reduce the Reagan budget deficit by two thirds. Let's tell the truth. It must be done, it must be done. Mr. Reagan will raise taxes, and so will I. He won't tell you. I just did." Despite this claimed attempt at establishing truthfulness with the electorate, this promise to raise taxes badly eroded his chances in what had already begun as an uphill battle against the charismatic Ronald Reagan. Reagan also enjoyed high levels of bipartisan support during the 1984 presidential election, both in Alabama, and across the nation at large. Many registered Democrats who voted for Reagan ( Reagan Democrats) stated that they had chosen to do so because they associated him with the economic recovery, because of his strong stance on national security issues with Russia, and because they considered the Democrats as "supporting American poor and minorities at the expense of the middle class." These public opinion factors contributed to Reagan’s 1984 landslide victory, in Alabama and elsewhere. ^ Raines, Howell (November 7, 1984). "Reagan Wins By a Landslide, Sweeping at Least 48 States; G.O.P. Gains Strength in House". The New York Times. Retrieved November 11, 2013. ^ Prendergast, William B. (1999). The Catholic vote in American politics. Washington DC: Georgetown University Press. pp. 186, 191–193. ISBN 0-87840-724-3.